Champions for Youth opens November 27, 2018! SAY San Diego is once again one of only 10 charities invited to participate in the Champions for Youth campaign this year. 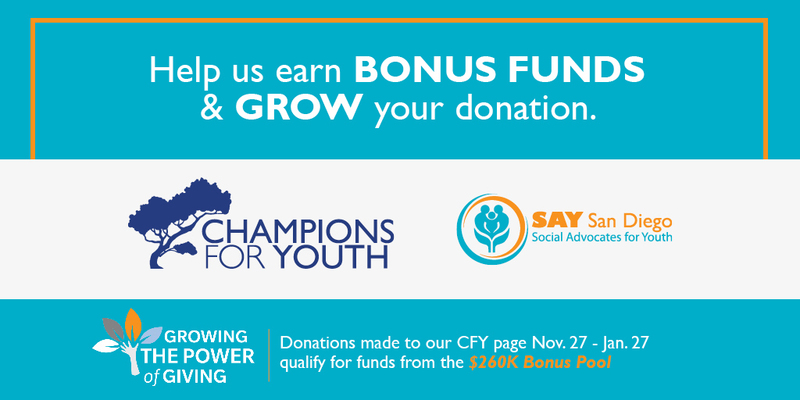 When you donate to our Champions for Youth campaign, 100% of every donation goes to SAY and we automatically qualify for bonus funds from the Century Club of San Diego. Last year’s campaign raised over $102,000, including $40,000 in bonus funds thanks to the generous support of our donors. 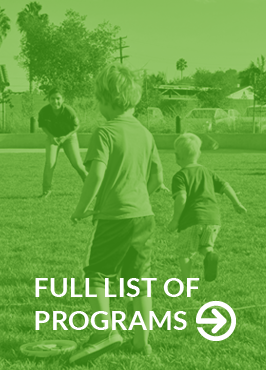 This is the most powerful way to support children and families in SAY San Diego’s programs. Champions for youth runs from November 27, 2018 to January 27, 2019. Click here to donate!